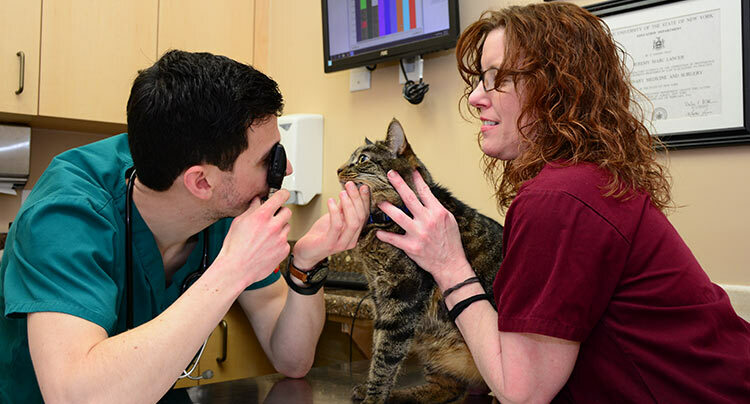 Annual wellness exams are the best way you can assure a longer and happier life for your cat. Cats are masters at hiding illness, disease and injuries, so an annual exam will help you catch health problems early. Your cat’s annual wellness exam is an opportunity for you to discuss any concerns you have about your cat’s health with one of our veterinary professionals. We encourage you to discuss the common signs of illness, weight, nutrition, allergies, dental care, mobility issues, risk of infections, and any lifestyle or age related changes with us. Our expertise is at your disposal. For the safety of your cat, they should be transported in a secure carrier. Help your cat become comfortable with the carrier during the days prior to his or her appointment with us by placing it in a room where they spend a lot of time. Adding familiar, soft bedding and placing treats, catnip, or toys inside the carrier will also help your cat relax. Note that it may take days or weeks for your cat to adjust to the carrier. If your cat is particularly anxious during the card ride, you may want to cover the carrier with a blanket or towel. Some cats like to see what's happening, while others prefer it when the carrier is covered. See which option your cat likes best by placing them inside the carrier while transporting them around the house, both covered and uncovered. Please call us today to schedule your cat’s wellness exam with us.